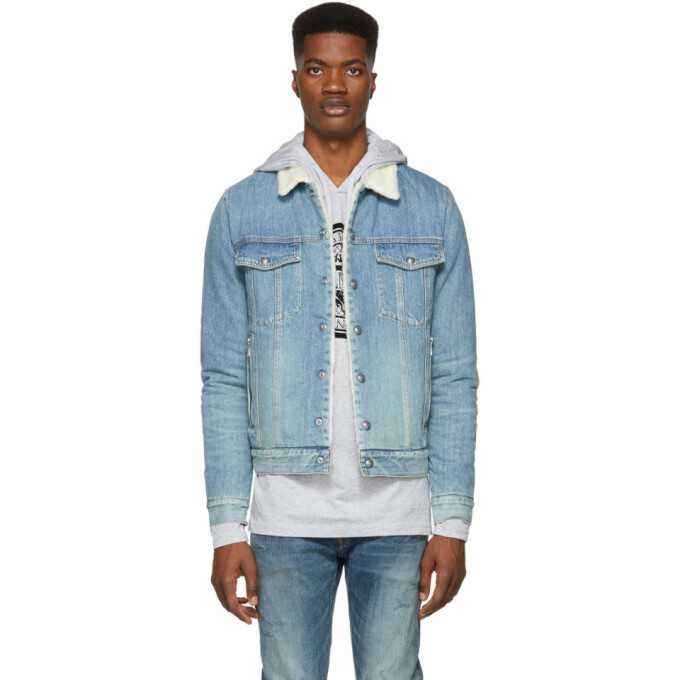 Long sleeve faded denim jacket in blue. Wool sherpa trim in off-white at spread collar. Press-stud closure at front. Flap pockets at chest. Zippered pockets at waist. Press-stud fastening at cuffs. Adjustable press-stud tabs at back hem. Wool sherpa lining in off-white. Logo-engraved hardware. Contrast stitching in tan.